Is Freedom of Press in Hong Kong under severe attack by HKSAR Chief Executive Mr. CY Leung as Ms. Li Wei Ling 李慧玲 (FB page) alleged? You be the judge yourself after watch the full press conference. I personally believe Ms. Li Wei Ling 李慧玲 is a person of the highest integrity through her years of journalistic work. 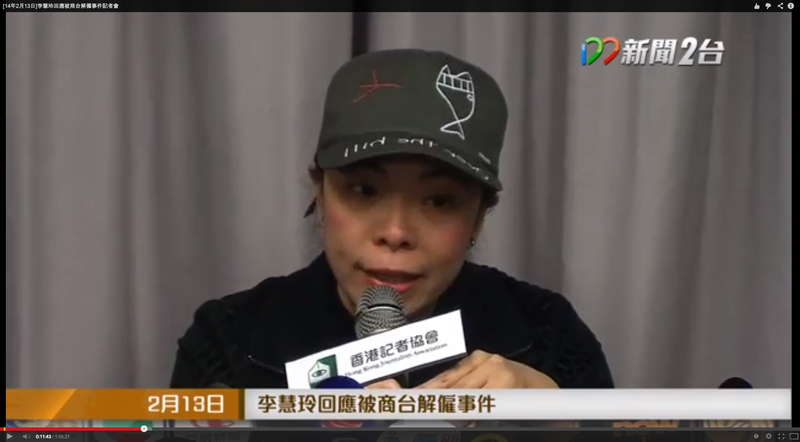 Have a watch of the clip 李慧玲回應被商台解僱事件記者會 starts at 1m23s (full press conference with Cantonese Q&A on 2014/02/13, over 1 hour long) and judge for yourself.